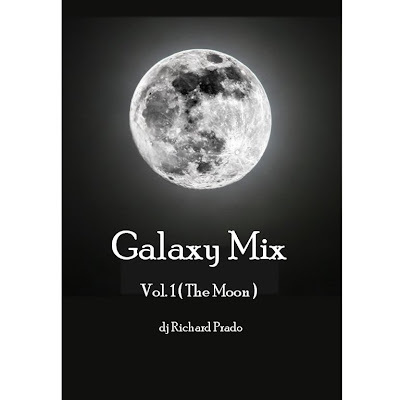 Note : This mix is about mood programming, a journey to the Moon, the Galaxy and the Universe. 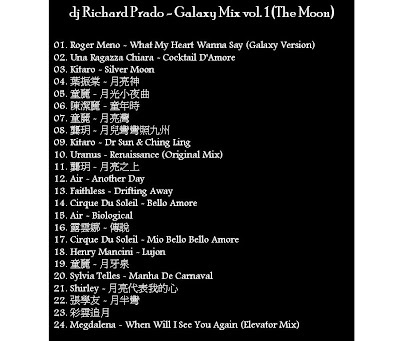 I did this mix for people to celebrate the Chinese Moon Festival. I have no discrimination of any kind about music, no matter of it's style or language. This mix consists of songs from different countries and languages: China(Mandarin, Cantonese, Tibetan), U.S. & U.K.(English), Portugal, Japan, Italy, France and Germany. I love all music as long as they are produced with heart. Description : This is the first time I do fashion show mix, I wish very much this mix could please the taste of most of the people in a fashion show, that is, from (young) Models to (mid-age) Celebrities to (elderly) Designer gods. 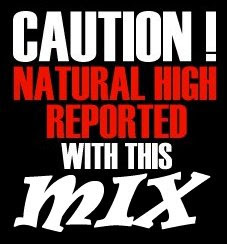 Description : This is an unfinished mix, will update when I have time. and this tune is echoing in my mind these few days. 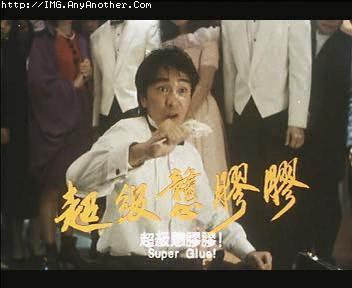 我個Friend 呀 dj Gust 又一驚喜貢獻! 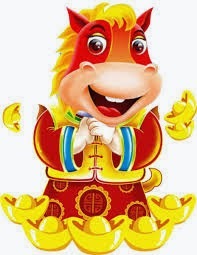 睇呀Ann斯斯文文, 但佢打的歌 very very FIECE, 當晚全場high 爆 !!! This mix show is ultilized for Live Party Environment but not mixing skills....that's why many LP Cut....but feel the power in it! 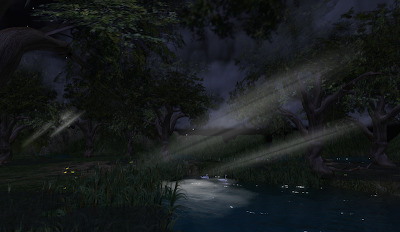 Description : I want to put down the sounds which echoes in my mind. A scene of lovely people of the 60's, 70's, 80's all dressed up and dancing latin steps happily to the music I play. 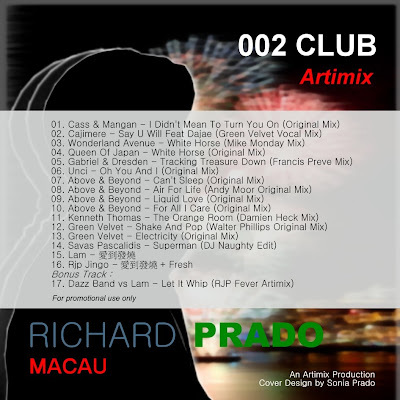 This is part 3 (of 4 parts) of my "Macau Lounge Mix Project". Like "Star Wars", I start with Part 3 first :) Tuna Macaense is a legendary "love by all" amateur band in Macau. Consisting of generations of Macau born Portuguese (Macaense), in their 2005 album inlay, I saw a photo of the band taken in 1935 ! This post has been updated! Mixed by Boyzl1437, DJ Richard Prado (Artimix), Vita, Patrick Lee 牛頭角, Magic Claw. 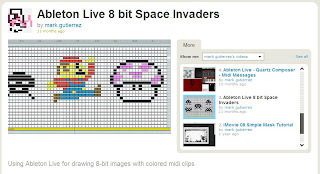 This is a fun group project, mixed by my 789 forum buddies from different parts of the world. Everyone submitted his part as a mini-mix which are then put together to form a happy mega-mix. 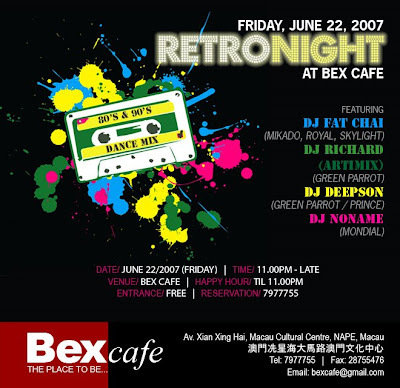 Description : Live mix at Bex Retro Night 2 party. I really enjoyed the atmosphere that night. A very successful night. Please note that I have used Songs of Shakin' Stevens to Start and Finish my mix. Description : A recording of my emotions one night. From "Lying down doing nothing" to "Get up and ready for anything", a definitive warm up session. I had thought of adding songs to this mix but I finally decided to keep the original tracklist, as this is the actual flow of my emotions. Technical Note : This mix is about mood programming skill. 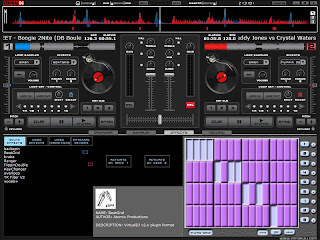 I did this with MixMeister, though I have not changed the tracklist, I have done a few mix versions with different volume in different points and it makes differences in the mood programming. In this mix I've found out that fader control skill in mood programming is important as much as in beat mixing. 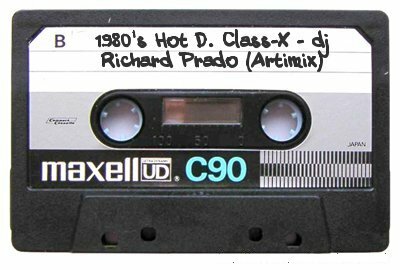 Description : 1987 Live Mix in disco using a very basic mixer without cross fader. I love the mix position at 10:03. It's like doing 2000's "harmonic mixing" in the 1980's. 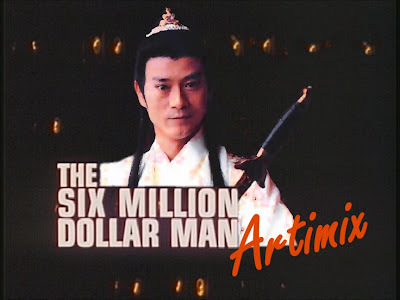 鄭少秋 - 誓要入刀山 (Original Artimix 7'' Remix). We are having excess download with this site, I am moving the files to other file hosting. Thank you very much for your support and please visit here often. Note : Unrehearsed Live Unedited Mix, Underground, warmup session. 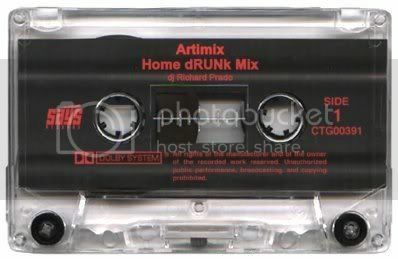 May encounter some strange noise at the end in this recording because this mixtape was recorded to wav file during 1990's using 386PC with a primitive sound card and slow hard disk. Note : Unrehearsed Live Unedited set. What's on my mind now !? I want a "New Baby" ! During the 90's, I began to fall in love with deep and dark music. 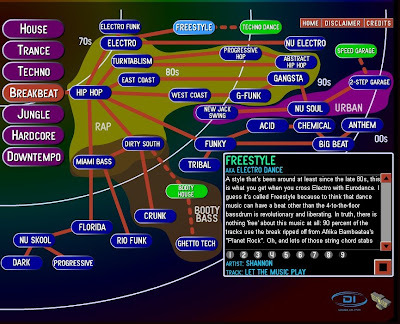 One of these genre was "Deep House". 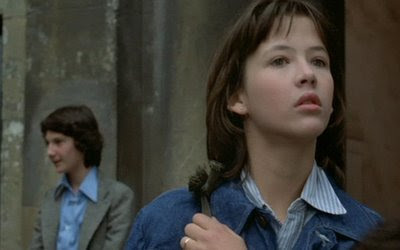 I knew that not everyone can take this dark so I put some significant 80's flavour in this mix. 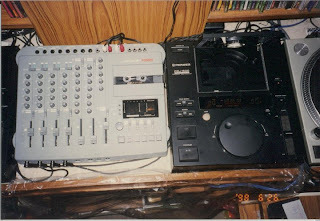 Note : 2 CDJ-500 and Fostex XR-7 4-tracker tape recorder. This photo was taken when I was actually doing this mix. # : Planned high point. 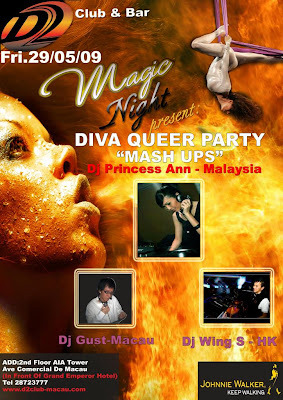 A Mixture of two new genre of music from 1990's (1) Progressive Trance, (2) Balearic House together with Club dance. 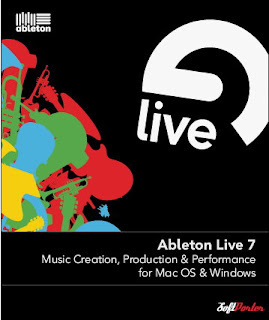 Note : Unrehearsed Live Unedited ; 2 CD player & Mixer. 每首歌的 BPM 資料對DJ 很重要，可讓DJ 認知歌曲的拍子速度，拍子速度大約相同的歌曲先可以放在一起作 beat mix. 在第一單元我們用Lunatic 數BPM,在數拍過程中我們會發現這首歌每32拍就有變化, 其實歌曲結構有一定的格式, 以一組一組的拍子組來構成, 大多數拍子組是由16拍 或 32拍 構成,這領到 DJ beat mix 大為容易處理. 我們稱這些拍子組為 Phrases. 一首歌大概由多個 Phrases 組成. End : 結束部份 ，唱歌部份完成後fade out 或突然完結 (cold end). 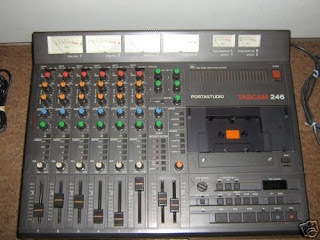 Equipment used : 2x CDJ-500 + Fostex XR-7 4-tracker recorder. 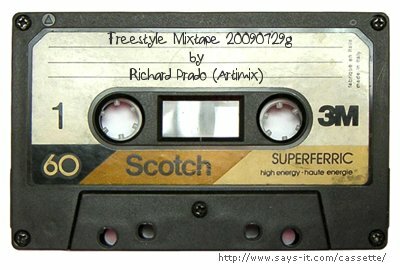 I used 120 Miniute-tape for this mix, 60 minutes per side, with double speed, that is maximum of 30 minutes for the mix. I was back and I was fierce this time. With harder, deeper and insane underground music. 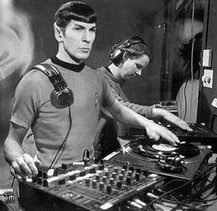 A miscellaneous style mix: Club, 80's, Progressive House, Underground, all mixed up dance party. 07. SPACE FROG - "X-RAY(FOLLOW ME) (SASH! REMIX)"
08. TAKKYU ISHINO - "GHOST IN THE SHELL"
09. 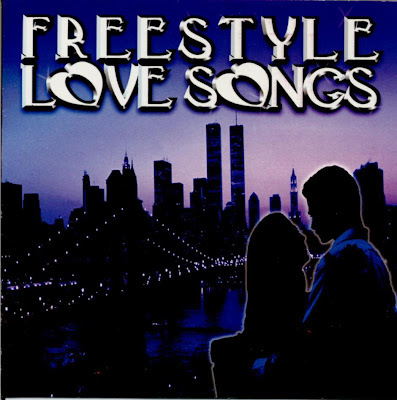 BLU PETER - "I BRING YOU LUV"
Note : Rehearsed Live Unedited. 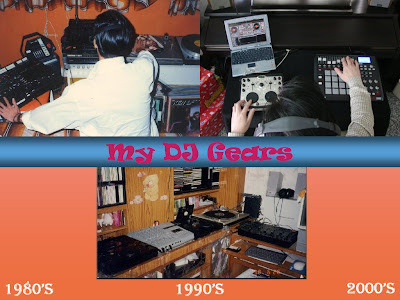 I used to do club style mixes, however, my passion in Rave Parties had emerged from my mixes in the 1990's. 04. EXIT WAY - "BACK TO THE PROMISED LAND (PROGRESSIVE REMIX)"
Description : A hysteria mix, listen to my mixing in track 7,8,9 and you will know what I mean. The programming of this mix differs from the usual "buliding up" style, it's from fast to slower (roller coaster style mood programming). 但我很喜歡, 憑自己感覺照做這類mix, 所以這個mix 名為 The Uncompromised Mix (不妥協 mix). 02. THE ADVENTURE OF STEVIE V (feat. NAZLYN) - "DIRTY CASH (TODD TERRY MIX)"
03. VANESSA MAE - "TOCCATA & FUGUE (D'S HIGHOUSE MIX)"
04. BELLINI - "SAMBA DE JANEIRO MERLYN REMIX)"
Deacription : A 4-tracker medley, pop & break beat style. I was not in a good mood one day, I pressed the record button and mixed songs up with mix positions I had never used before. This was a home practise session, "mix impromptu", exploring new mix positions, often the results have good and bad surprises. 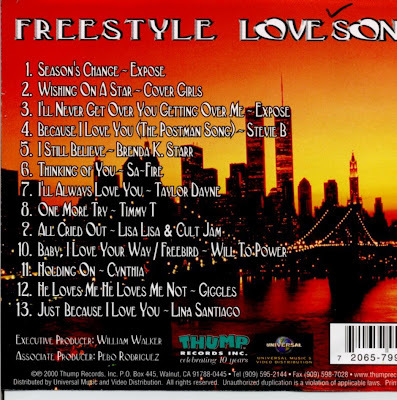 I can "hear" how my feeling changed in the mix, bad mood from "Yo Vivire" to "S.O.S. Fire In The Sky", try to cheer up during "Fashion Girl" to "High Society Girl ". However, my mood went down again start from "Rent" till "Suspense". Live mix can reflect the DJ's feeling. Please return in a short while for the updates ! I personally love this mix very much but due to two little careless mistakes which I could not roll back to fix under the so call "Destructive editing" mechanism, I had to stop again to think for the right tool. 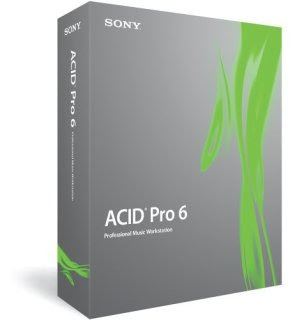 I wanted to try out computer sequencer software which could give me the "Non-destructive editing" and "Non-linear editing" capabilities I needed. - Hard disk drive with 5,600 RPM was rare, nowhere I could find one in Macau, the shop keeper asked me to try to get SCSI hard disk drives from Hong Kong which had a ridicules price tag. With the advancement in technology and price were going down with hardwares, I finally could try out computer editor / sequencer softwares. I tried to test Acid Pro 2.0 with something I already had in mind, see how fast I can pick up the new software and remake something I'd done before but with a new tool. 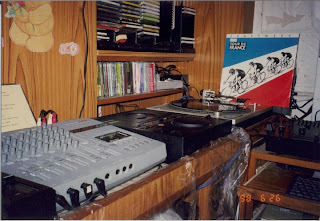 2 Technics Turntables & 1 basic mixer without cross fader. Track 08, 09, 10 was a live "Showoff" session to amaze the audience (and to defend my ranking in their hearts) with my newly acquired "Quick Beat-matching Technique". 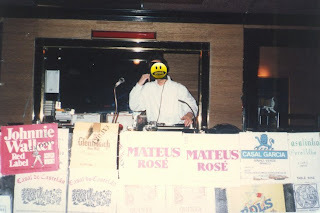 I changed serveral records within one song's break in front of the crowd (and the disco manager). I moved the pitch control syncronizing the beat spontaneously while the track was already playing "on-air". 當年間唔中 都要出下招 比 D 驚喜 給 斑熟客 及同事 看, 補住自己個 Ranking. 今次是1987年10月某日 剛練成的招式叫 " 超快速 夾beat 大法 " . 一般mixing是在播放中的歌 的break位到 之前就要 夾好下一首歌的beat, cue 好位, 一到break位就要出街. 今次的 " 驚人" 演出是在一首歌的一個break位中先後夾三次beat, 入三次歌, 基本是表演break 位已到先放上唱碟, cue好位就出街, 出街先至夾beat, 出緊街同時調Technics盤的 Pitch Control. 當晚表演給圍著dj booth 的 Disco Manager, Assistant DJ / Light man, disco captain 及 客人 看. 看 到他們 "目定口呆" 的樣子 我很開心, 滿足晒我的表演慾. 80年代就是可以這麼簡單, I Like. 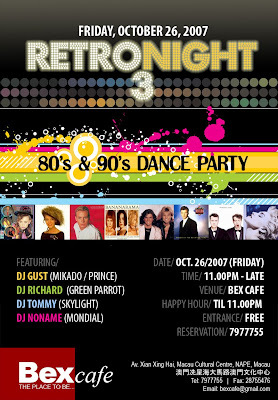 Note : Live recording in Green Parrot Disco in 1987. Mixed with 2 Technics turntables and 1 basic mixer. The mixer I was using had no cross fader, so less tool is more artistry. 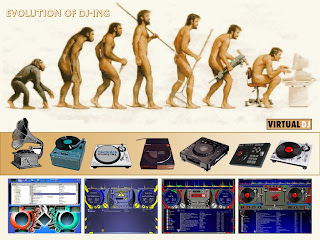 Description : This is a live mix in Green Parrot Disco back in 1987. I personally love this mix very much, it has the essence of the 80's. It is very lively and has great energy in it - Live is Live, you know, after a few whisky shots. Live mix with 2 CDJ500 and a basic mixer without crossfader.